A stylish day-boat with a unique concept of one Air-Step® hull for a choice of three different deck plans, the Flyer is a distillation of technology. The SpaceDeck, SunDeck and SportDeck, with 10 spacious models between 5 and 9 metres, are undoubtedly an achievement in terms of design. Let the fun begin. Streamlined and sporty, the Gran Turismo offers great sensations. 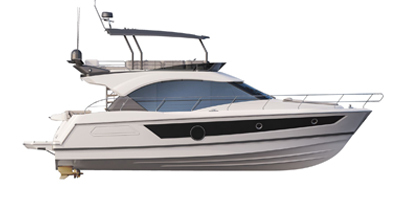 Open to the sea and yet well-protected, the range’s five sport cruisers boast technological features uniting the joy of cruising and exceptional performance. The Gran Turismo looks great, has quality fittings and attractive trims. In a nutshell she is elegant and positively trendy!